Cooler weather is creeping in, bringing warmer clothes and a need for heating sources. And with the need for heat comes the risk of fire. Most home fires occur in the kitchen and are the leading cause of fire-related injuries. At night, discarded cigarettes, sparks from fireplaces without screens and heating appliances left unattended cause most fires. These fires can be especially dangerous since they are often left to smolder for a long period of time before being discovered. Replace all worn, old or damaged appliance cords and do not run cords under rugs or furniture. Distribute electrical extension cords and appliances wisely; never overload extension cords or wall sockets. Move combustible objects at least three feet away from portable heating devices. Make sure any fire (fireplace or otherwise) is completely out before leaving the house or going to bed. 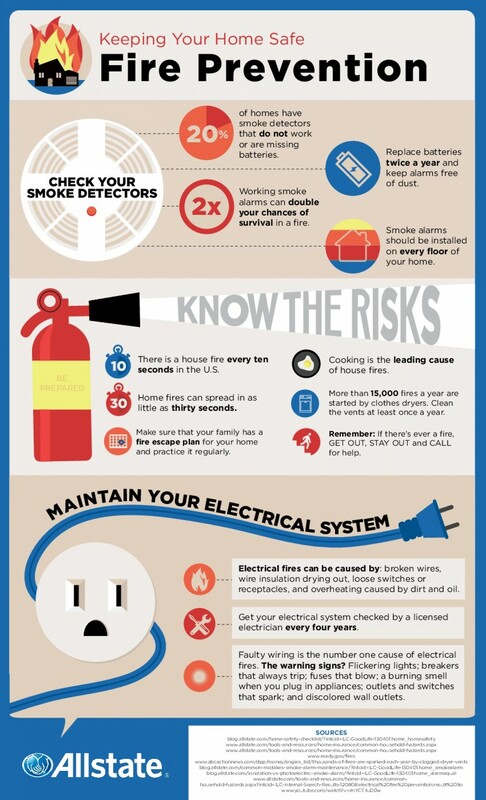 For more information about preventing a home fire and what to do if you are in a fire, visit http://www.ready.gov/home-fires. Every generation has its pivotal moment; the first moon landing, JFK’s assassination, the Space Shuttle disaster; which become a part of that generation’s shared history. Ask anyone of a particular generation and they can tell you where they were, who they were with and what they felt the moment they heard the news. Then there are moments that define a nation. The Fourth of July, Pearl Harbor, D-Day and September 11th are just such moments. Those days created fundamental changes in the fabric of our nation. Although some might look at these days and see the common thread as being an attack on America, the underlying common thread of all of these events truly is the resilience and the dedication to purpose of the American people. September 11th is unique in that it is officially designated as a National Day of Service and Remembrance. Unlike other days which are marked by parades, picnics and ceremonies, this holiday asks that we also take time to remember and serve. It is an ideal opportunity to take a moment to stop and remember those who lost their lives at the hands of terrorists and those who gave their lives responding to that attack. And it is an opportunity to respond ourselves by building stronger communities on a day that was intended to tear them apart. Excitement is Building in Jersey City – volunteers will landscape and beautify a 9/11 Memorial Garden and build picnic tables for students to enjoy the beautiful, albeit incomplete, New York skyline. Happy Harvesting in Pittstown – volunteers will aid in the harvesting of fruits and vegetables that will be donated to local organizations to feed the hungry. Weed Em’ and Reap in Hillsborough – volunteers will help the native habitat flourish by removing invasive plant species. Weed Between the Lines in Morristown – volunteers will beautify the park by landscaping and removing invasive species. We hope to see you out there. For a full list of volunteer opportunities for 9/11 and 9/12, as well as the rest of the year, check out www.JerseyCares.org. Disasters and frightening scenarios can be difficult, even unpleasant, to discuss with your kids, and many of us put it off or avoid it altogether. But leaving kids unprepared can ultimately lead to a more difficult and unpleasant situation. Make this month the month. Just as you ensure that they have the right supplies to tackle the school year ahead, ensure that your kids are ready for any emergency that might come their way. How will you handle different types of emergency situations? Once you have started your family’s preparedness plan, ask around your community at schools, town hall meetings, and popular public places to see if they have a preparedness plan – and volunteer to help create one if they don’t. 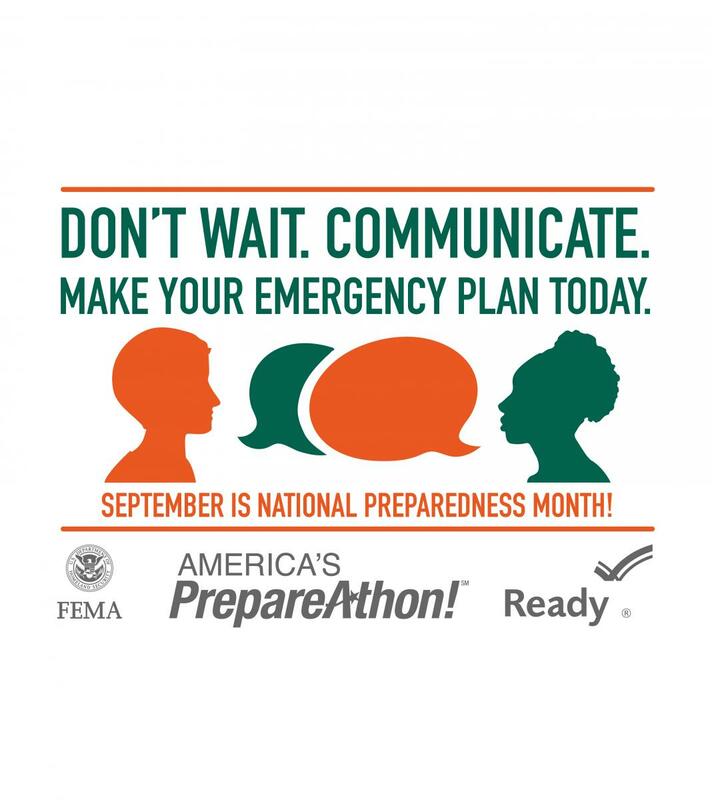 For more information about preparing your family and getting involved in National Preparedness Month, visit http://www.ready.gov/september.